We have to take advantage of the perfect spring and fall weather in Japan when we get the chance. 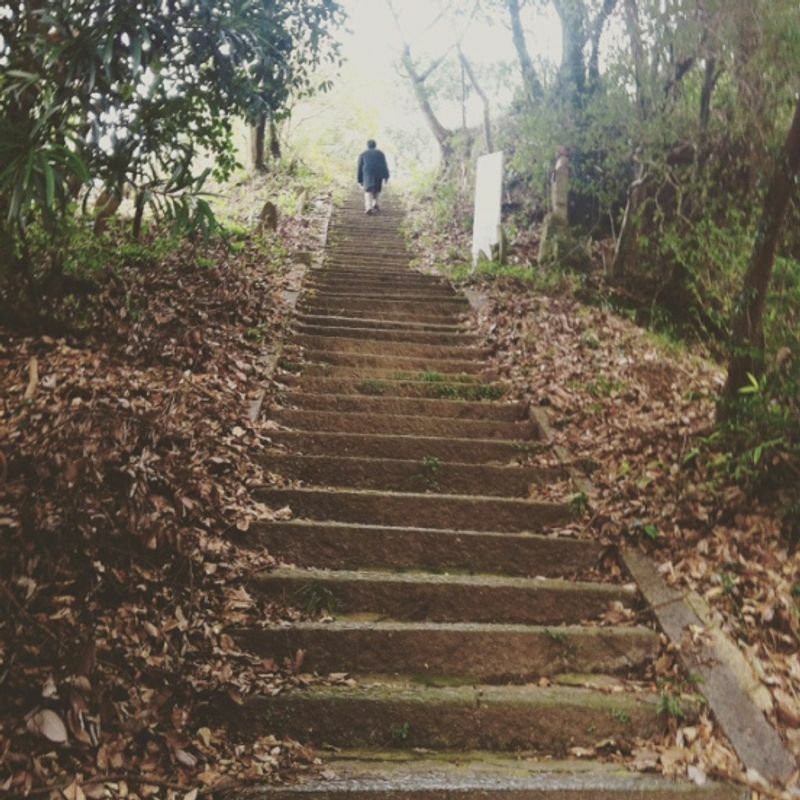 Winters are sometimes too cold and summers are too hot to spend tons of time outside, so it's good to get outdoors every day during spring and fall in Japan. This year, spring came a little early and has been unusually long, but I'm not complaining about the perfect weather we've been having. I decided to make sure we get out of town (at least for a nearby day trip), once a month while living in Japan. Kyushu has so many amazing places and we love to travel and explore. We also like exploring in our own city, and it’s new to us, so we haven’t done much yet. Once a week or so, we try a new-to-us restaurant, go for a walk somewhere new like a park (bonus: this is free), or go to some kind of event in town. There are free cultural events all the time in and around Fukuoka and Kurume, in addition to free exhibits, libraries, and natural spaces. 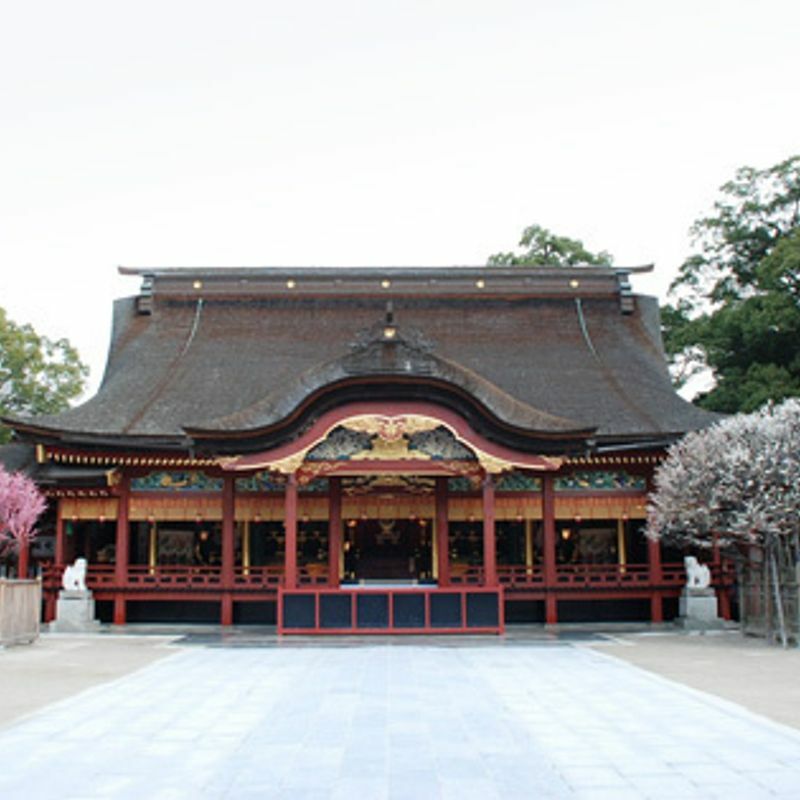 Temples and shrines are often in the midst of a park or open space, and entrance is usually free. The first out of town field trip of the year was to nearby Dazaifu city, in Fukuoka Prefecture. It’s around halfway between Fukuoka city and Kurume city. If you visit and stay in Fukuoka, it’s less than thirty minutes by train, so it’s an easy day trip. From Nishitetsu Fukuoka (Tenjin) Station, you can take a rapid train to 二日市駅 / Futsukaichi station on the Nishitetsu Tenjin Omuta line, then transfer to the Dazaifu line for a whole five minutes / two stations to Dazaifu station. If you take the rapid train on Tenjin Omuta line (Tokkyu), this takes 27 minutes including transfer time. It takes us longer to walk to the station in our city than time on the train, but it’s still a quick trip. On the main path from the station to the shrine, there are lots of traditional shops selling (photo above) umegae mochi (a sweet red bean jam filled rice cake with an ume blossom design printed on it) and menbei, which is a short form of mentaiko-senbei (spicy cod roe crackers). 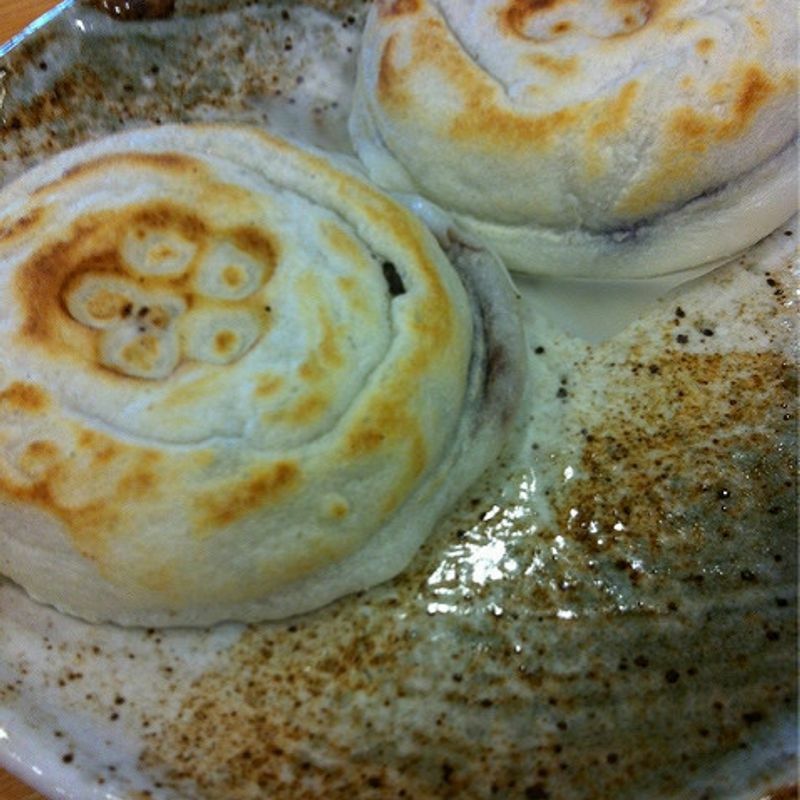 Warm umegae mochi is perfect when it's a little cold and is easy to stand and eat (tatchikui) or even walk and eat. Many of these shops have free samples of snacks and omiyage. I love free samples. Restaurants and gift shops line the street, which is crowded with people going to and from the shrine. You can find a Starbucks on this street with a unique entrance design. Not far from the station there is also an award winning local barista's cafe (珈琲蘭館) and a local JA produce market. "Three tastes of soba" at a local restaurant. The main shrine, or honden at Dazaifu Tenmangu. There are thousands of flowering plum trees, or ume, near Dazaifu Tenmangu. Usually they bloom in January, but it was a little too early when we were there. Dazaifu Tenmangu is a popular shrine for the burial place of Michizane Sugawara, who is known for literature, calligraphy, and studies. A lot of students go there to pray to do well on tests like entrance exams, so February-March is a busy season, in addition to the New year visitors plus blossom viewing visitors in January and February. We went in early January, which is probably not the best idea for a temple or shrine, due to the crowds during Hatsumode (first visit to a temple or shrine in the new year) season. 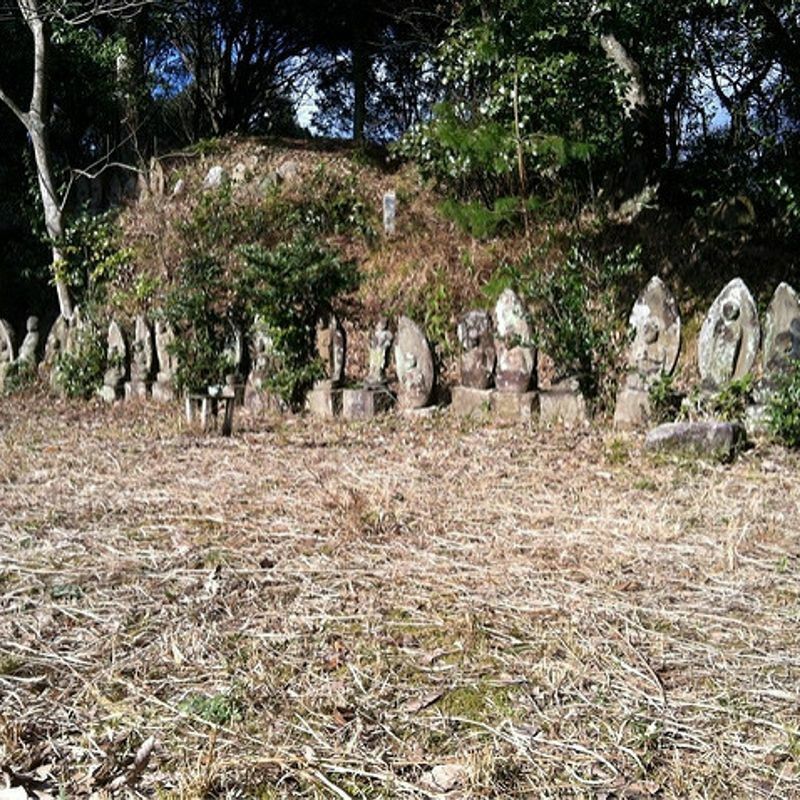 It was crowded, but the weather wasn’t too cold, and we enjoyed walking in the hills where there are small hidden shrines. Crazy steps behind the temple, near the traditional tea houses. There are several statues of cows or oxen next to the shrine, and lots of people want to touch the lucky statues or have their pictures taken with them. The shrine space is a big area with several bridges over ponds, lots of open space, and other things to do nearby. There is the Kyushu National Museum, southeast of the shrine, which can be accessed by walking east of the shrine area ponds then up an escalator in the "access tunnel" with fun changing colors. On the north side of the shrine area, there is yoenchi - an amusement park. The shrine and shopping area can easily be done in a couple hours, or you can make a day of it by exploring the hill and tea houses, maybe the museum. 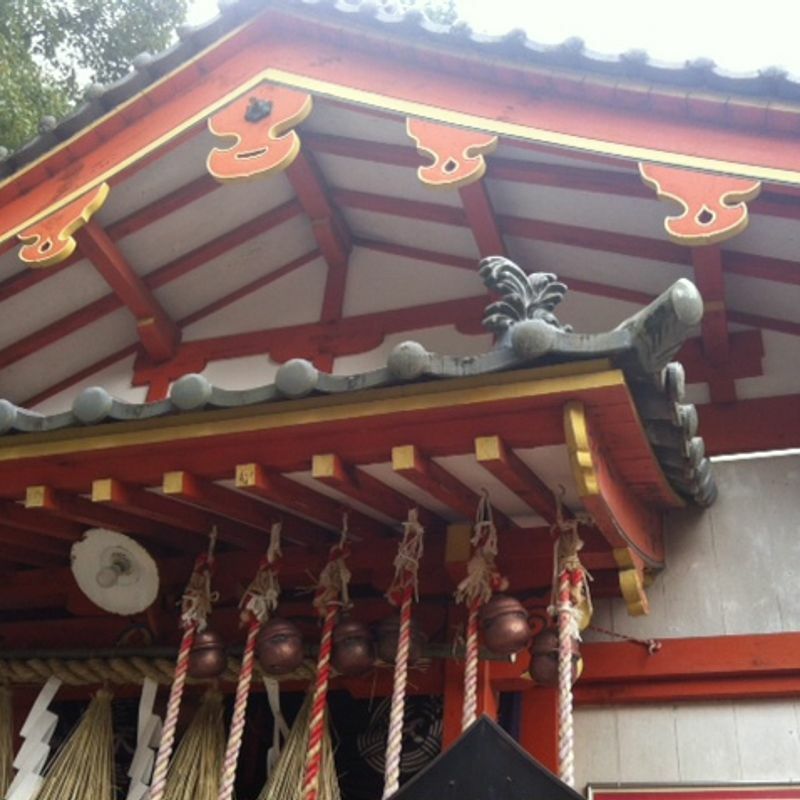 If we walk up the hill behind the shrine, we can see red tori showing the entrance to the Inari Shrine. There are twelve bells for each year in the Chinese zodiac - so you should ring the bell for the year you were born in before praying. Dazaifu Tenmangu is a great place to visit on a nice day. There's something for everyone, from shopping to history and architecture. If you live in the area, it's an affordable place to bring visitors and show off some of Japan's nature and culture, because you don't need to pay an entrance fee. Budget for traveling costs, (400 yen one way from Fukuoka), snacks/meals, gifts, and maybe some change for praying at the shrines. 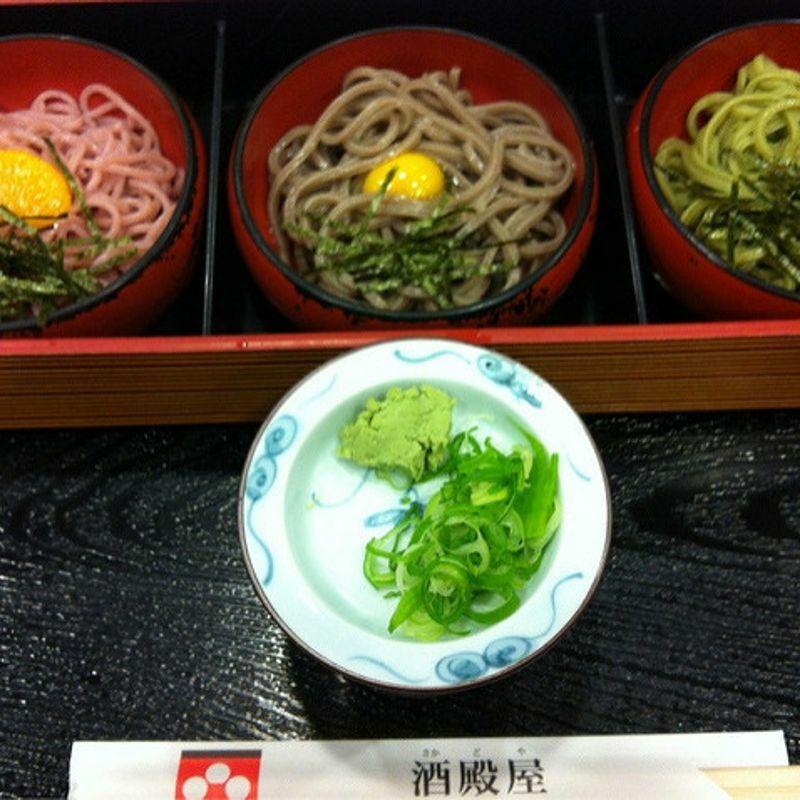 Do you know what the flavor of the pink soba noodles is? I don't think I've ever seen pink ones before. @Tomuu If I remember correctly those were ume flavor and really tasty. Fitting with the ume theme in the area.